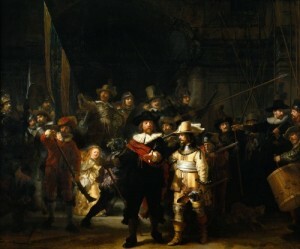 The Night Watch is an oil on canvas created by Dutch painter Rembrandt van Rijn. It is one of the most famous paintings in the world, known for its gigantic size (11.91 ft × 14.34 ft), effective contrast of light and shade known as chiaroscuro, and perception of motion. The painting depicts a group of military men out to protect the city. Even though the painting involves many people, you are still directed to the three most important characters in the piece: the two men at the center, Captain Frans Banning Cocq (left) and his lieutenant, Willem van Ruytenburch (right); and the girl in the background. The impressive use of chiaroscuro allowed Rembrandt to create these focal points. 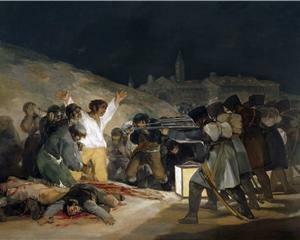 The Third of May 1808 depicts the battle between Spaniards and Napoleon’s armies at Medina del Rio Seco, Spain. The content, presentation, and emotion of the characters in the painting successfully represented the fear, suffering, and horrors of war. 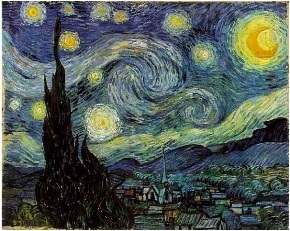 The Starry Night is one of the most famous paintings of Vincent van Gogh. It portrays the view outside Van Gogh’s sanitarium room window in southern France. 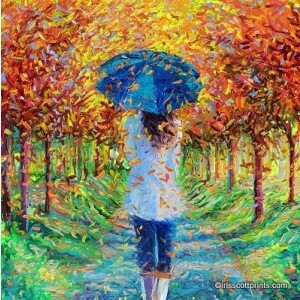 Paints in blues and blacks are prominent in the piece with touches of yellows and whites. 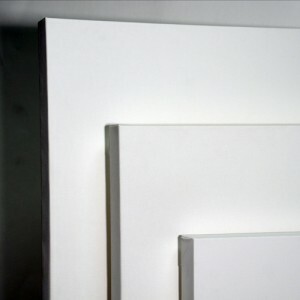 It is displayed in the Museum of Modern Art in New York. 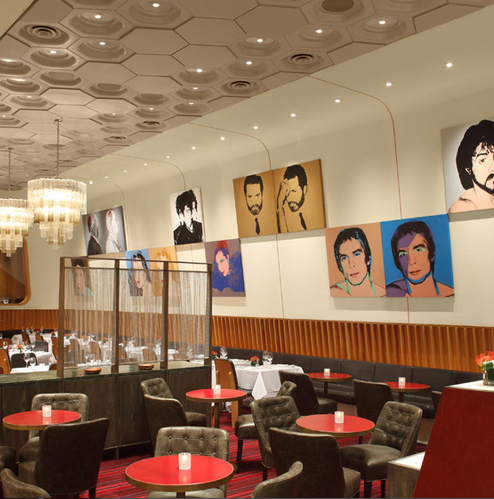 Nighthawks is a painting about people eating in a diner late at night. 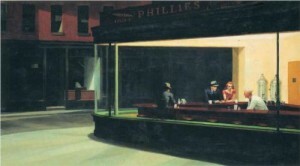 Edward Hopper revealed that the painting was inspired by “a restaurant on New York’s Greenwich Avenue where two streets meet.” Hopper tried to capture the effects of man-made lights (flourescent lights, lamp post) at night. The Empire of Light has numerous versions and all depicts a street scene during night and day. Belgian surrealist artist René Magritte painted The Empire between 1950-1954. The pieces look like its early dawn or late in the afternoon, the time when the sun sets but it’s still not completely dark. 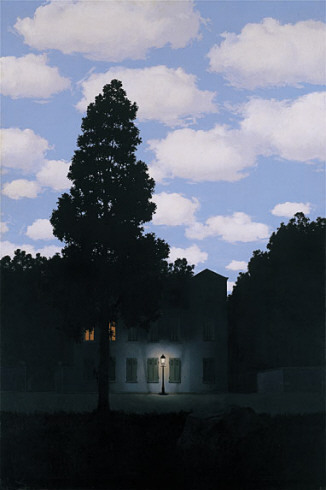 You cannot really be sure whether its day or night because Magritte presented the illusion of night and day in these paintings.